What makes a limousine rental service the finest in the city? Do you prefer a good quality fleet or good customer service? In a city like Cypress, a limo rental service needs to be just perfect. At ULC limos, we love to spoil our customers with the best limos in Cypress, California, which are driven by the most highly trained chauffeurs in the country. We have a fleet of limo rentals in Cypress that includes every high class limousine available. 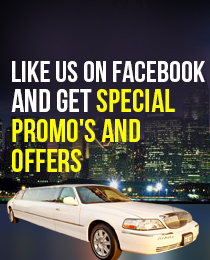 Our customers can choose from a wide selection of limousines. We have categorized our limo rentals according to their models and capacity. Customers can choose their favorite car and see its price through our instant quote application. We offer different kinds of limousine services in Cypress for occasions like birthdays, weddings, funerals, bachelors’ party etc. Every occasion is unique and so are the people who participate in it. Thus, we ensure that our customers find all the comfort and facilities that they expect. Which Cypress Limo is Right For You?